li-do, Laboratore Innocenti Design Office, is a creative studio based in Milan founded by Ilaria Innocenti and Giorgio Laboratore. 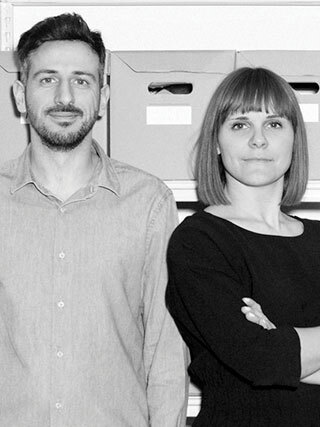 Ilaria and Giorgio have developed in different project experiences yet they share the same passion for design and visual arts. Ilaria’s approach comes from interior design education with a strong visual culture. Giorgio’s approach comes from industrial design, combined with a deep knowledge of materials and production processes. Since 2014 they have been collaborating on developing researches, art directions, product designs and interior designs. Devoted to contemporary languages and attracted by evocative and emotional components of the objects, they offer a tailormade approach to the companies they work with, dealing not only with product and interior design but also with images, textiles, exhibitions and everything that can be imagined and designed.